Are you ready for even more 24? Well, this version won't be anything like you're used to, as it takes the series from a war on terror all the way to the courtroom. 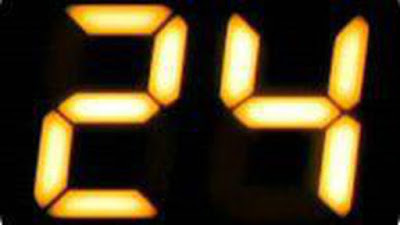 While we learned a few days ago that a 24 prequel featuring a young Jack Bauer is in the works, Fox TV President and CEO Dana Walden confirms that another spinoff is on the way, and it will be a legal thriller set the day before a convicted man's execution. “The other is a whole new take on the franchise set in the legal arena,” Walden said.